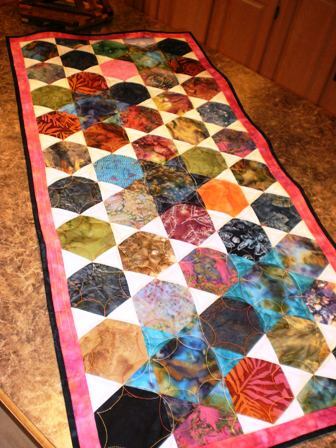 Quilt, Knit, Run, Sew: How would you machine quilt a Hexagon quilt? 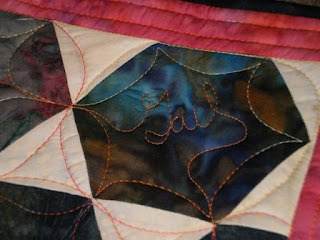 I like how you've quilted it, and the signature in one of the blocks is a nice touch! Hey, good for you Gail! I sewed triangles on hexagons all day today. BIG job. 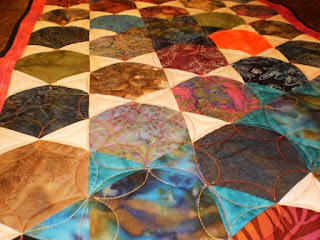 Love the inspiration that you have given me for quilting mine...if I ever get there. FridayI will give you some extra hexagons that I meant to give you in class on Monday for A's quilt.